A national bestseller, a Reese Witherspoon Book Club pick, a People Magazine Best Pick, a New York Post Must Reads, a “Best Of Skimm Reads 2017” selection, and a Library Reads selection. Recipient of starred reviews from Kirkus, Publishers Weekly, and Library Journal. 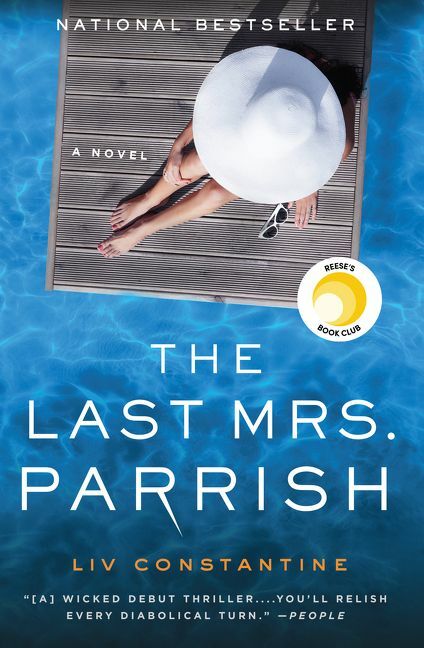 The Last Mrs. Parrish is a mesmerizing debut psychological thriller full of delicious twists about a coolly manipulative woman who worms her way into the lives of a wealthy “golden couple” from Connecticut to achieve the privileged life she wants. Amber’s envy could eat her alive . . . if she didn’t have a plan. Amber uses Daphne’s compassion and caring to insinuate herself into the family’s life—the first step in a meticulous scheme to undermine her. Before long, Amber is Daphne’s closest confidante, traveling to Europe with the Parrish family, and growing closer to Jackson. But a skeleton from her past may undermine everything that Amber has worked towards, and if it is discovered, her well-laid plan may fall to pieces. Click HERE to download a discussion guide for your book club. - Sara Blaedel, Denmark's award-winning internationally bestselling "Queen of Crime"